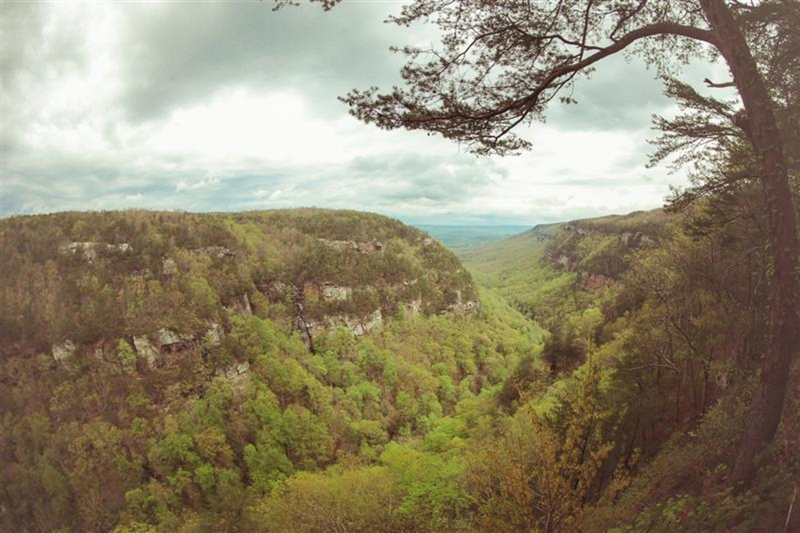 Cloudland Canyon is one of the most beautiful river gulches in the Appalachian range, offering stunning views, rugged hiking, and excellent camping opportunities. Varies. A 2-mile Backcountry loop provides 13 secluded walk-in campsites, though there are 30 miles of trails around the park. $5 Parking Fee; Annual Passes available. 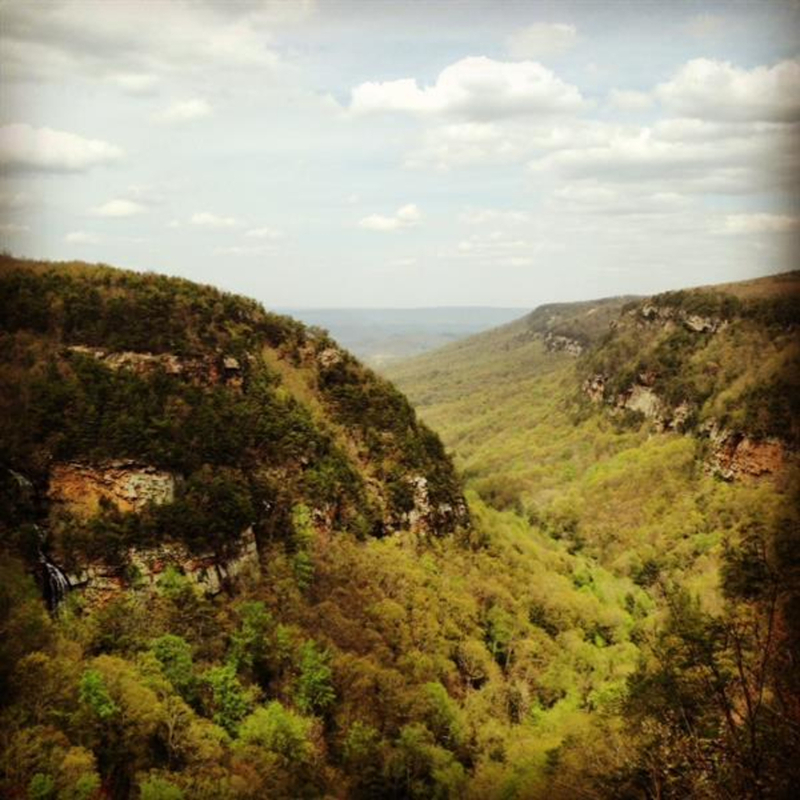 Cloudland Canyon offers spectacular views and exceptional, rugged hiking. 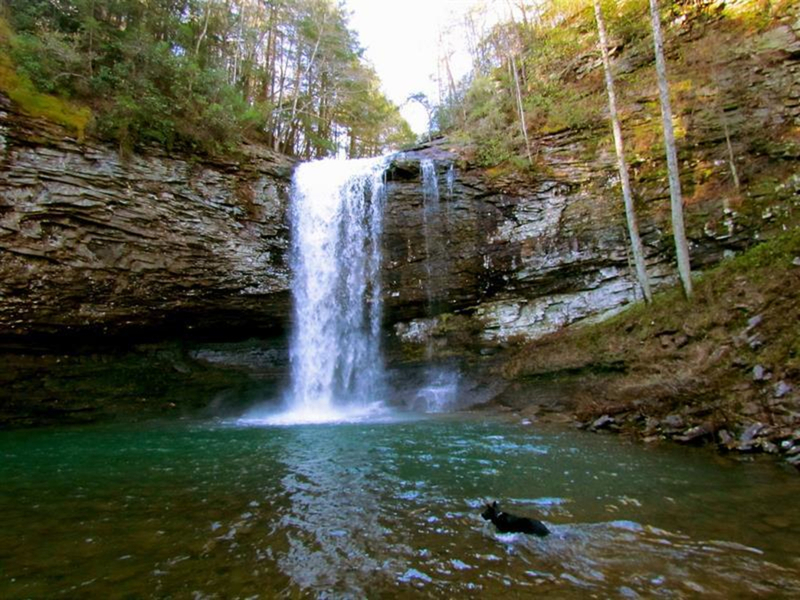 Throw in two big waterfalls and a shade covered creek walk and you have an idyllic day trip or weekend getaway for couples and families alike. The focus of the park is a deep gorge carved by Sitton Gulch Creek. Stunning views are accessible right from the picnic area and main parking lot. 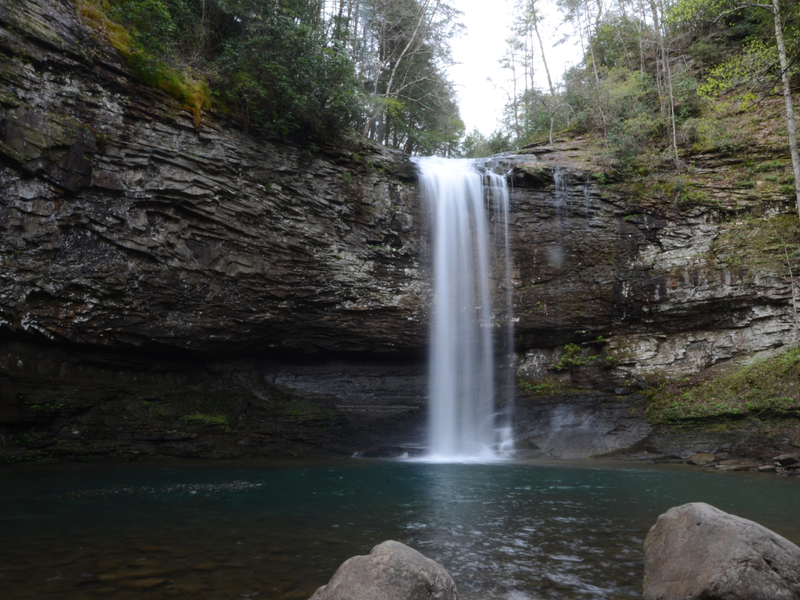 For those who want to see more, the East Rim and Waterfall Trails are the most popular. 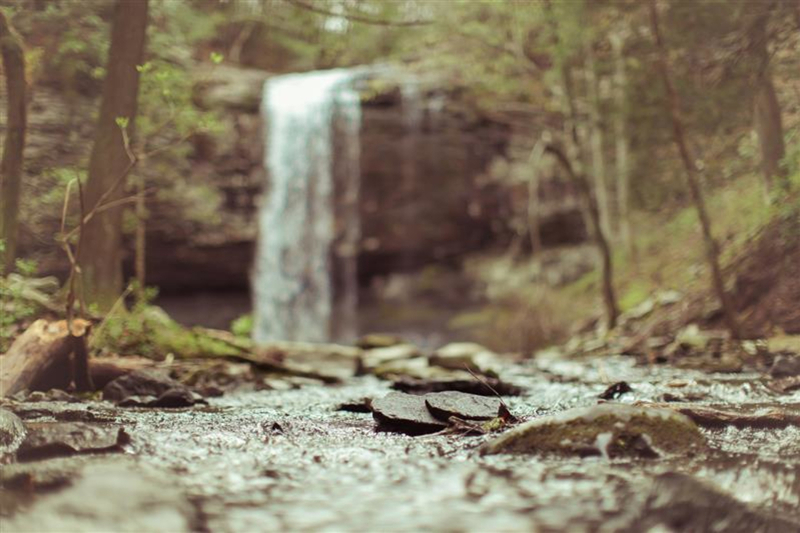 The Waterfall Trail takes hikers down 600 steps into Sitton Gulch past Hemlock and Cherokee Falls, following the creek all the way to the mouth of the gorge. East Rim wraps around the point with its sheer drop off and vistas. The West Rim Trail connects to the Waterfall Trail, crossing a bridge well upstream of the falls to follow the west rim, then over to Lookout Valley for views of Trenton and Sand Mountain. The Bear Creek Backcountry Trail (permit required) drops down from the East Rim to ford Bear Creek, which can be ankle- to waist-deep depending on rainfall. This forested walk takes you into seldom-seen areas, offering several worthy vistas the of East and West Rims. In addition to a modern campground with excellent facilities, the park has cabins, yurts and primitive camping. A 2-mile Backcountry loop provides 13 secluded walk-in campsites. 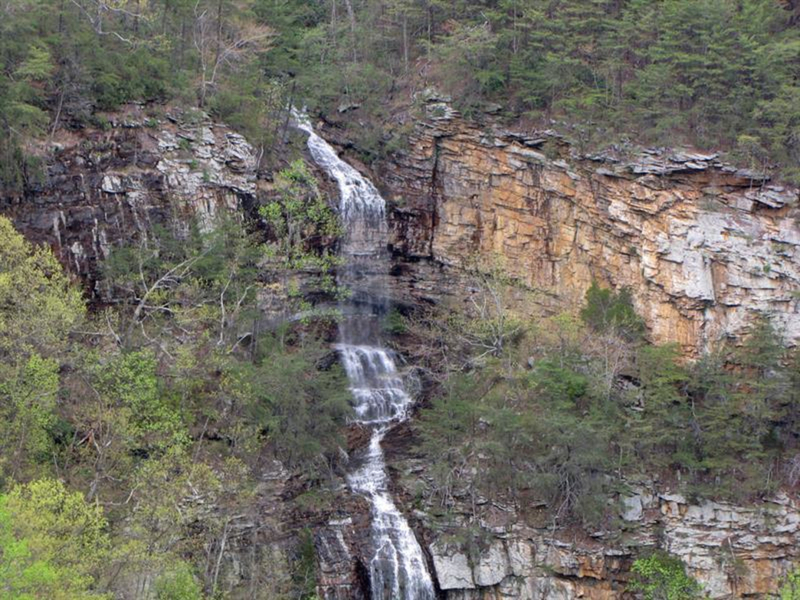 Adjacent to the Backcountry loop is a Frisbee golf course and the start of the Cloudland Connector trail, a horse/mountain bike/foot path that already includes around 30 miles of trail and will eventually lead all the way to Chattanooga. 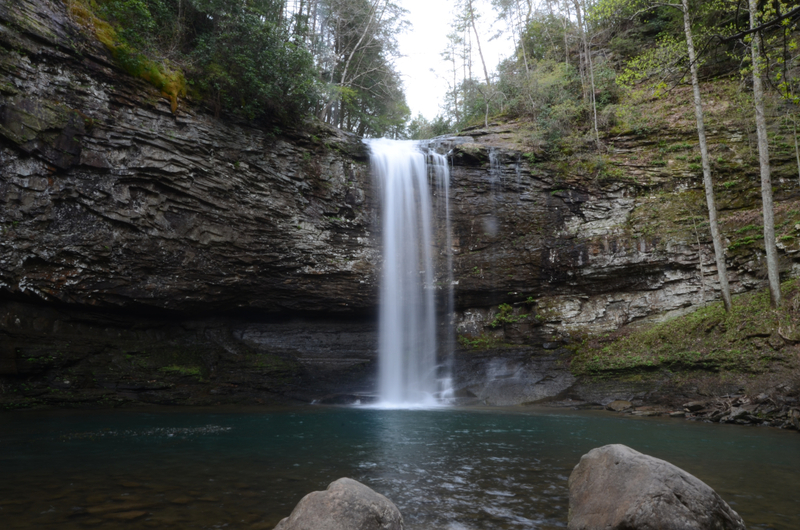 Cloudland is a favorite destination for families, with inspiring views and waterfalls. 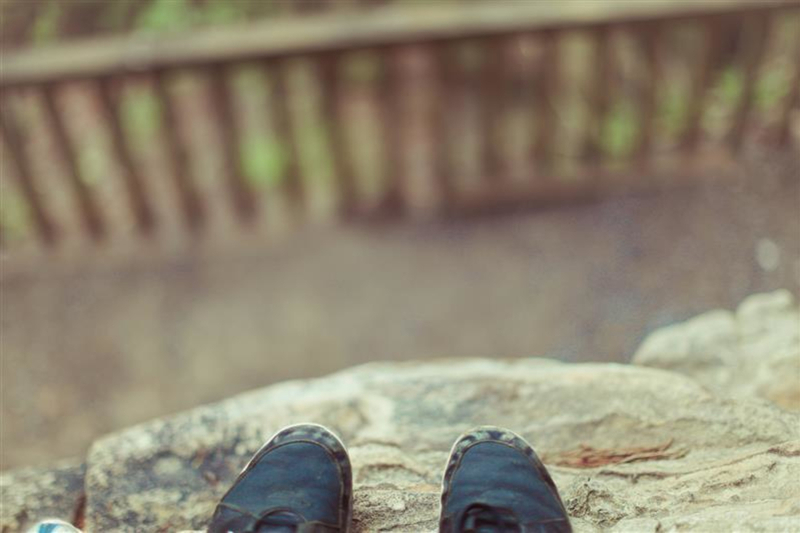 At the same time, more serious hikers, trail runners, or mountain bikers will find plenty to keep their heart rates up. You can even arrange for a guided wild cave trip with Georgia Girl Guides. 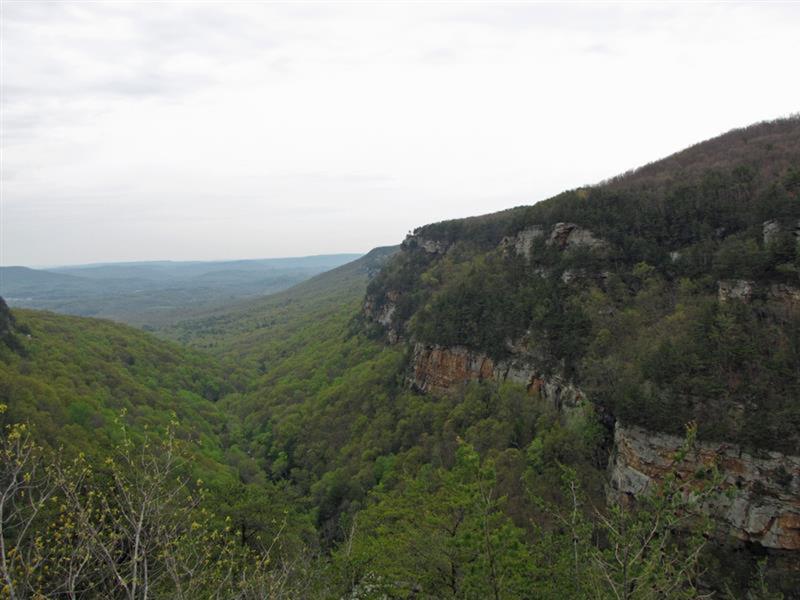 The main park entrance is 122 Cloudland Canyon Park Rd. Rising Fawn, GA 30738, at GPS coordinates 34.8402630, -85.4828810. An alternate trailhead is located in the valley on Canyon Park Drive (off Highway 136), making one-way hikes of Sitton Gulf feasible with a shuttle. Reservations are highly recommended for the campsites, especially in the peak season in the Fall.